Cold season hits fast and hard. 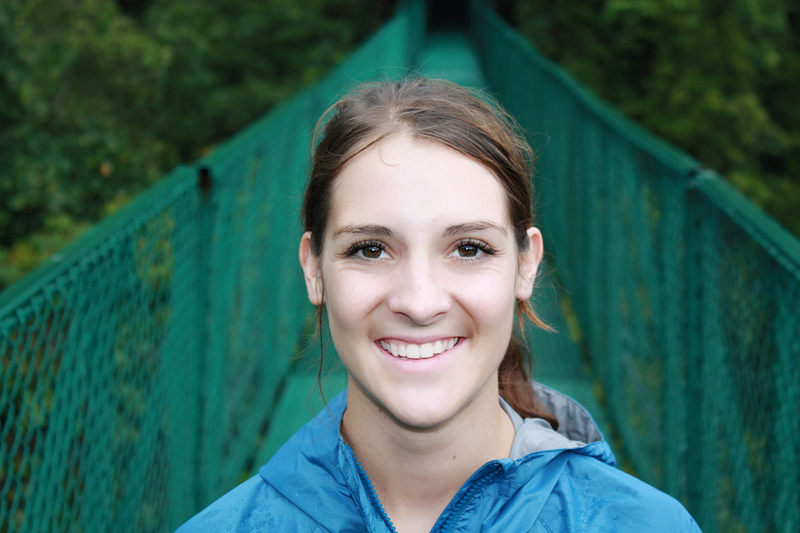 The symptoms include a stuffy nose, sore throat, and body aches. Fight a cold fast with ginger tea. This herbal tea is packed with healthy ingredients that can help fight off a cold and boost your immune system so you don't catch one in the first place. Ginger tea is an exceptional choice for fighting a cold. 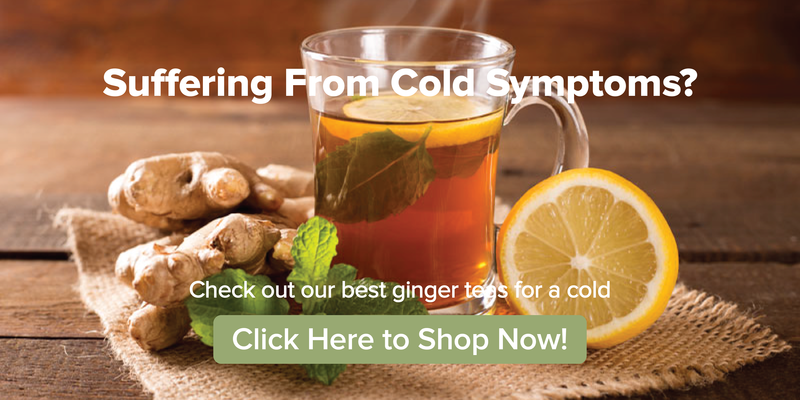 Try out these easy and delicious ginger tea recipes that you can brew to prevent a cold or treat the symptoms. Want to use ginger tea to beat a cold? Check out our collection of the best ginger teas right here. Ginger tea is made from the root of the ginger plant. The tea offers a potent spicy flavor and a mild aroma. The tea also boasts hints of lemon and earthy flavors. 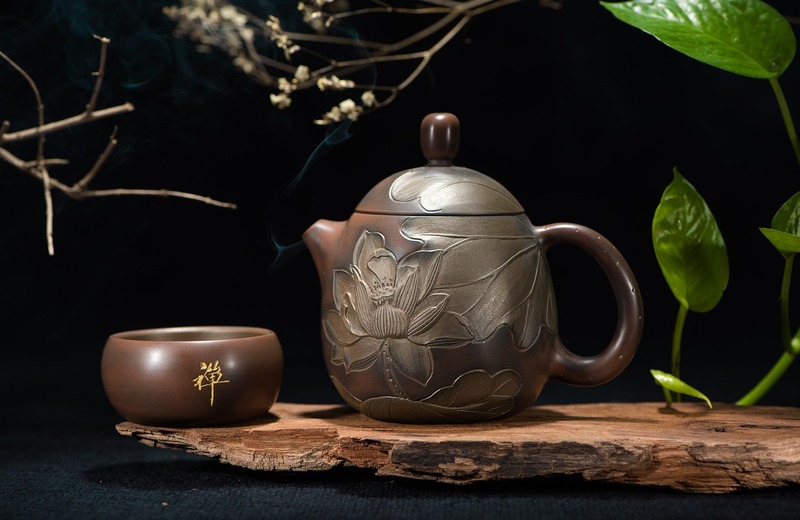 The tea invokes a warming sensation that can help soothe aches and pains. It's frequently brewed in natural remedies for a variety of ailments from stomach upset to the flu. The plant is also a staple ingredient in Indian cuisine and traditional medicine and herbal remedies including Ayurveda. Ginger tea boasts anti-inflammatory properties that can help soothe irritated stomach muscles. It is frequently used to treat nausea and upset stomach caused by bacteria in the intestines (1). Ginger tea can also help decrease inflammation that can cause a sore throat and chest congestion (2). 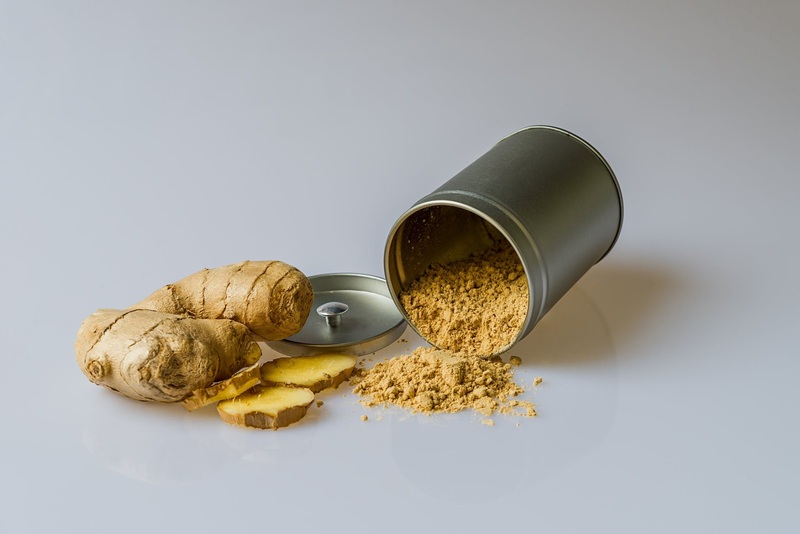 The main compounds in ginger responsible for cold and flu benefits are gingerol and shogaol. These compounds can be found in brewed tea as well as the essential oils from the plant (3). Lemon contains high concentrations of vitamin C, which has been linked to better immune system health. 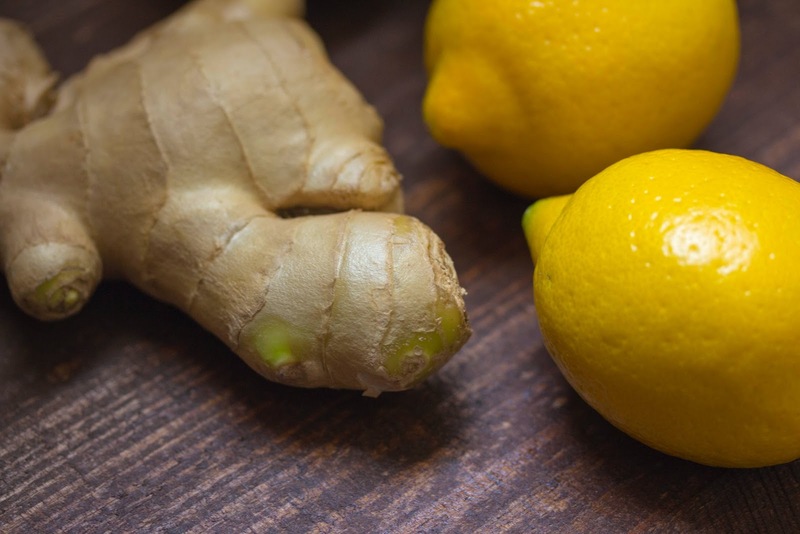 We've combined the immune-boosting benefits of lemon with the soothing properties of ginger in this lemon ginger tea recipe to help fight the common cold and feel better fast. 1. Bring water to a rapid boil in a tea kettle or in a pan on the stove. 2. Add the ginger to the boiling water and steep for 5 to 10 minutes. The longer you steep, the stronger the flavor will be. 3. Add one tablespoon honey and the lemon juice or lemon slice to your teacup. Pour the hot water and tea into the cup and drink immediately. Soothe tummy problems caused by a cold with our Happy Tummy Tea. Our Happy Tummy Tea can help fight flu symptoms including runny nose and upset stomach. 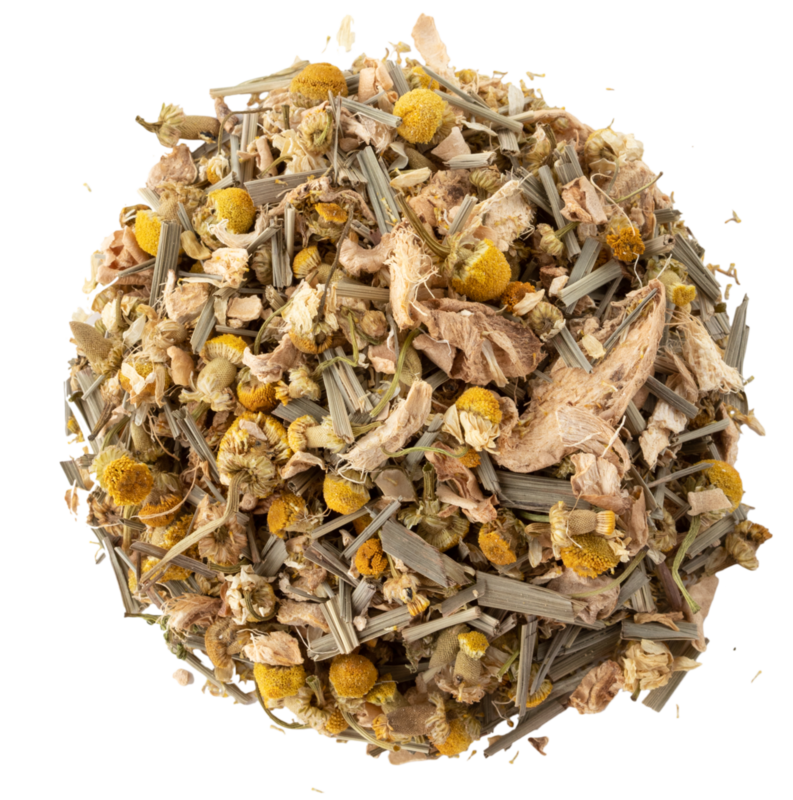 It’s a delicious blend of ginger, chamomile, and lemongrass. The ginger helps fight the infection while chamomile helps improve sleep and increase relaxation. The lemongrass also boasts antibacterial and antiviral properties that can help fight a cold at the source. 1. Boil water in a tea kettle or on the stove. 2. Add the loose leaf tea to a tea ball or strainer and steep for 5 to 10 minutes. 3. Remove tea leaves and enjoy! 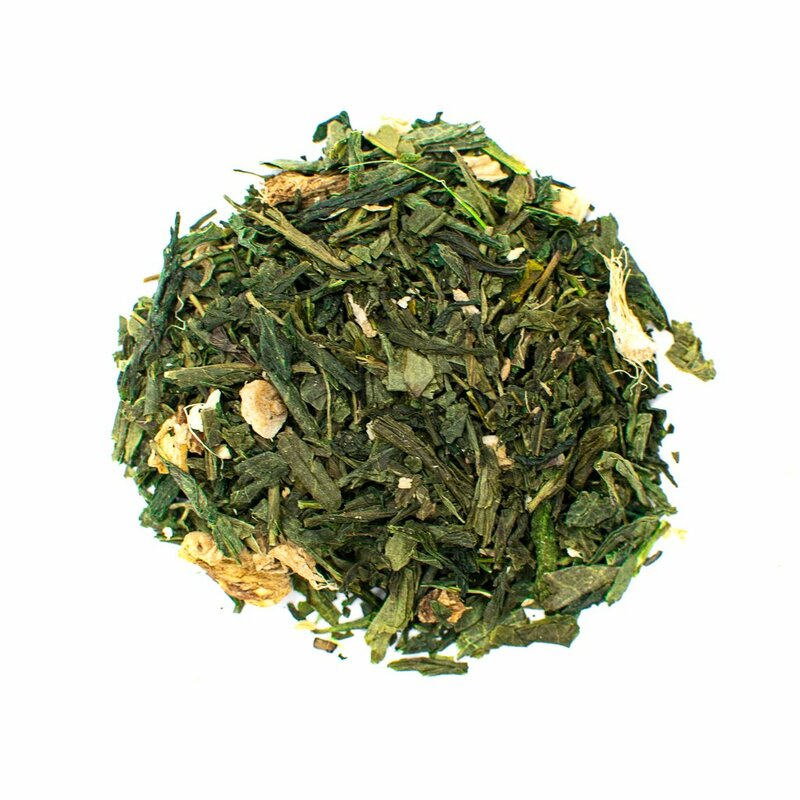 Make your life simple with our Ginger-Infused Green Tea. Simply boil water and add the loose leaves to fight a cold fast. Green tea is known for its health benefits. It's packed with antioxidants and catechins that can help fight off infections and boost immune health. 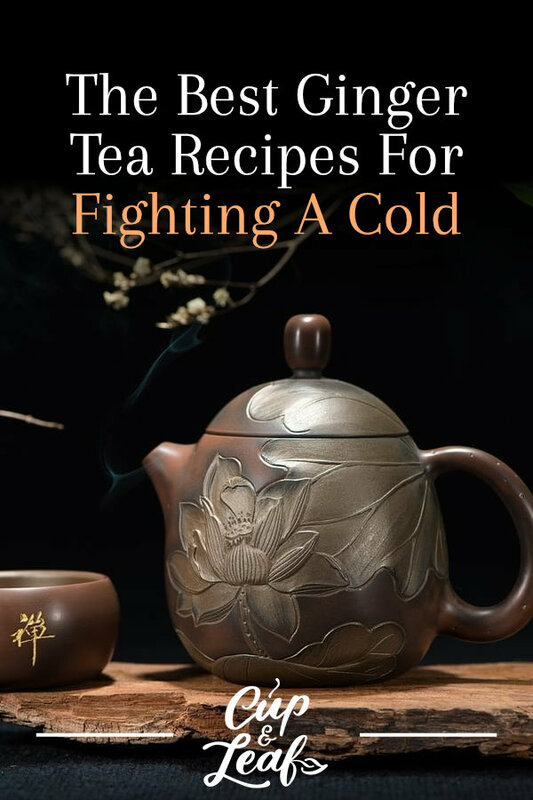 This recipe green tea recipe combines healthy catechins with ginger compounds that help you fight a cold fast. You can use any green tea you like. Chinese green teas are roasted and offer an earthy taste while Japanese green teas are steamed and feature vegetal and grassy flavor. 1. Bring water to a rolling boil in a stove-top pan. Alternatively, use a temperature-controlled kettle to heat water to 150-170 degrees Fahrenheit. Green tea can become bitter when brewed at high temperatures so don't use rapidly boiling water. 2. Add the green tea leaves and ginger. Strain out the tea leaves after 3 to 5 minutes. You can leave the ginger in longer if desired. 3. Add the cayenne pepper or a cinnamon stick for flavor. Stay healthy when flu season rolls around with these ginger tea recipes. All of these recipes are gluten-free and can be modified to fit dietary restrictions. Ginger is a popular home remedy that can help streamline digestion and fight infections. If you do catch a cold, drinking tea can help soothe cold symptoms and fight the bacteria that make you sick. Pair ginger with healthy eating and lots of rest and you'll feel better in no time. You can whip up some chicken soup to go with your lemon ginger green tea. Whatever combination you choose, hot ginger tea can help soothe a sore throat and soothe stomach upset. 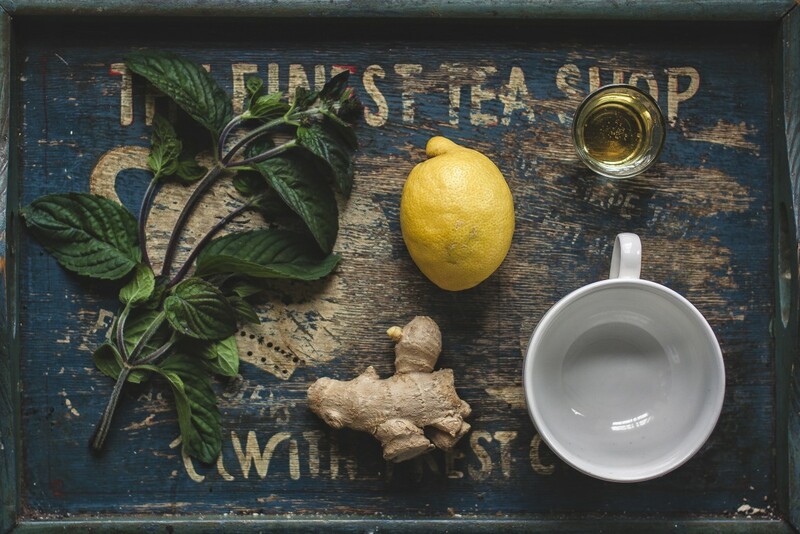 Brew up our ginger honey lemon recipe or opt for the happy tummy blend depending on your symptoms. Pour yourself a cup of tea at the first sign of a cold and drink to your health with delicious flavor.